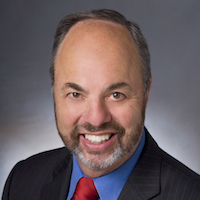 Jan. 19, 2018, 6:31 a.m.
By Ken Doctor @kdoctor Jan. 19, 2018, 6:31 a.m.
On the same afternoon that NPR’s David Folkenflik was to release his scoop on Los Angeles Times publisher Ross Levinsohn’s alleged history of workplace harassment, Levinsohn himself delivered a manifesto of sorts on Tronc’s strategy. Speaking to the Needham Growth Conference at about noon ET, Levinsohn and Tronc CFO Terry Jimenez laid out Tronc’s long-awaited new digital path forward. They intended the Wall Street-oriented presentation to reassure investors that Tronc — suffering the same deep loss-of-print-advertising woes as its peers — possessed a forward-looking strategy. That presentation — first posted on Tronc’s own investor’s website, and then removed later in the day — outlined plans for a Forbes-like contributor network, the Los Angeles Times Network. Just hours later, NPR released its story, entitled, “Accusations Of ‘Frat House’ Behavior Trail ‘LA Times’ Publisher’s Career.” That 2,800-word NPR article also received ample air time on All Things Considered. In the piece and on the air, NPR’s lead media reporter Folkenflik detailed the allegations about Levinsohn’s association with hostile workplace environments in his career stops at Fox, Yahoo, and AltaVista. It did not allege any direct sexual harassment on Levinsohn’s part. Though Levinsohn had placed a phone call to NPR CEO Jarl Mohn, allegedly threatening suit if the story aired, the charges were no surprise to him. Word that several news media organizations were hot on Levinsohn’s trail had been circulating. The question: Who would publish first, and what did they have? NPR answered the first question, but as with other #MeToo stories, expect follow-on reporting that may add to the allegations. As of Thursday evening, Levinsohn had not responded to numerous requests for comment. Tronc, itself, could not have been surprised either. But on Thursday afternoon, as Tronc announced it would “investigate” the allegations, it said: “This week, we became aware of allegations that Ross Levinsohn acted inappropriately. We are immediately launching an investigation so that we have a better understanding of what’s occurred,” the company said. “At Tronc, we expect all employees to act in a way that supports a culture of diversity and inclusion. 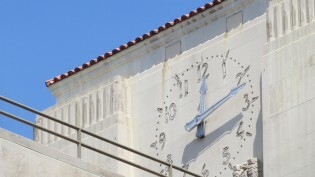 We will take appropriate action to address any behavior that falls short of these expectations.” The Los Angeles Times’ News Guild organizing committee immediately asked that the investigation be conducted by a third-party, presumably a law firm, a procedure now becoming standard when media company executives’ behavior is challenged. The timing of the charges could hardly be worse for Tronc and the Times. For weeks, the Times’ leadership — headed by Levinsohn, who just assumed his job in August after a corporate purge — had contested News Guild claims that a union was needed at the 400-strong Times newsroom, the largest metro newsroom in the country. Indeed, today at 10 a.m. in downtown Los Angeles, the National Labor Relations Board will count the ballots on unionization. Though Tronc management had hoped that removing Davan Maharaj and his top reports would quell organizing activity, it did not. Tronc’s appointment of Levinsohn, who then in October appointed longtime Forbes digital leader Lewis D’Vorkin as editor-in-chief, appears only to have stoked further division. D’Vorkin, described by many as aloof, has not begun to heal a fractured newsroom. Consequently, today, if the Guild vote is successful, it will herald the very beginning of negotiations with management, and likely encourage Guild organization at more of Tronc’s other 10 non-unionized titles. (Only The Sun newsroom in Baltimore is now represented by the Guild, among the larger Tronc dailies.) That’s a new big headache for the company, which is eager to make what it sees as necessary cost-cutting moves without union negotiation. By Thursday evening, a dozen senior L.A. Times newsroom had publicly declared their opposition to Levinsohn’s continued employment — an extraordinarily fast and public vote of no-confidence. Consequently, it’s hard to imagine Levinsohn returning to work amid the un-investigated allegations. That would create a major vacuum for the Times and Tronc at a pivotal time in their future. But the impact within Tronc is even greater. While Levinsohn’s official title has been CEO and publisher of the Los Angeles Times, upon his appointment, he became the de facto digital business head of a company that lacked one. Remember the much-parodied Tronc announcement video, in which two freshly appointed executives waxed Moonie-like about the Tribune Publishing-to-Tronc name change? One of them’s gone, and the other’s job is long-diminished. As Tronc chairman Michael Ferro and his CEO Justin Dearborn hired Levinsohn, they saw in him a twofer: They had bought themselves, at high compensation, someone with the resume and confidence to lead both the Times and a new digital strategy for Tronc overall. In the midst of all the union turmoil, Tronc was finally was ready to unveil that strategy, about a month ahead of its full-year and fourth-quarter earnings, which the company will likely want to put in the rearview mirror ASAP. That presentation — the one put up on the web and then removed within hours — basically laid out a strategy heavy on building scale and Tronc branding. 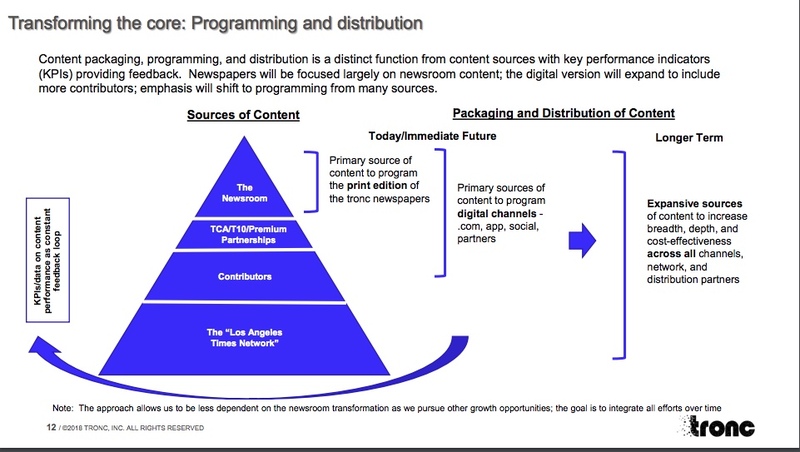 As I had expected, the plan called for a “Los Angeles Times Network.” It’s no surprise that the philosophical foundation of that network borrows heavily from the once-pioneering work of editor D’Vorkin, first at True/Slant and then at Forbes. His construction of its contributor network — both admired as innovative and decried as cheapening the Forbes brand and embracing clickbait as an editorial strategy — seems to inform those network plans. On Thursday, as I and others tweeted a couple of the slide charts, criticism of “the triangles” began. Below you’ll see two of those triangles. The first aims for “Gravitas with Scale.” It relies, in part, on the Tronc-owned Tribune Content Agency (or TCA) as a supplier of content beyond that produced by the Times and other Tronc newspapers. 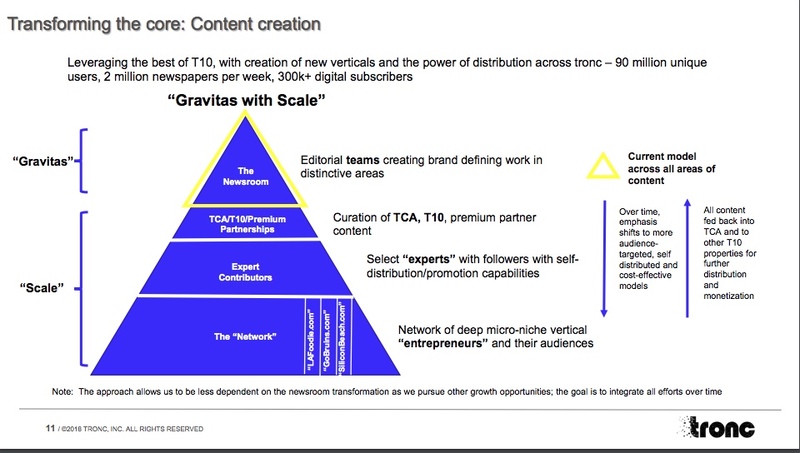 As the pyramid widens, we see the Forbes-familiar pattern of “expert contributors” and a “network” of “deep micro-niche ‘entrepreneurs’ and their audiences.” In short, in areas like entertainment — long eyed by Michael Ferro as a global franchise his company should “own” — Tronc would amass large amounts of content at very low cost. To those concerned about how the fractious Times newsroom might react to such plans, note the sentence on the slide’s bottom: “The approach allows us to be less dependent on the newsroom transformation as we pursue other growth opportunities; the goal is to integrate over time.” You can read that as either as a quite sensible approach or as a workaround, designed by those who view the newsroom as hostile territory. Next, view the Los Angeles Times Network slide. Essentially, this slide reinforces the content and speaks more to longer-term distribution strategy of it. Now the question of timing, short-term and long-term, becomes prominent. Unless former Tronc vice-chairman and still major shareholder Patrick Soon-Shiong steps up to contest control of Tronc, it doesn’t look like Times’ Up on Ferro’s Tronc experiment. Overall, it’s what old-time comic actors Laurel and Hardy would have called “A Fine Mess.” But it’s not an unanticipated one. Since now Ferro pulled off his coup and took over the company two years ago, the company’s been on a roller-coaster of management, strategy, and product upheaval, often with quite-public missteps. On Thursday, company critics took to social media to ask the usual questions: What did Tronc know about Levinsohn’s background, and involvement in two lawsuits? And when did they know it? The thinking: Tronc should have thoroughly vetted Levinsohn and consequently disqualified him. If it didn’t vet him, it’s negligent. That thinking may seem logical in an ideal world, but seems to me almost beside the point. Michael Ferro’s above-the-fray “I Am Tribune” behavior is well-documented. His hiring of an alpha male to bring stature and order to his much-ridiculed company offers a Ferro-like consistency. Besides, Ferro himself enjoys a bit of the old-boys-club atmosphere. Now time and chance have again complicated his plans. No doubt, he’ll come out punching. The question: Who will be his target? 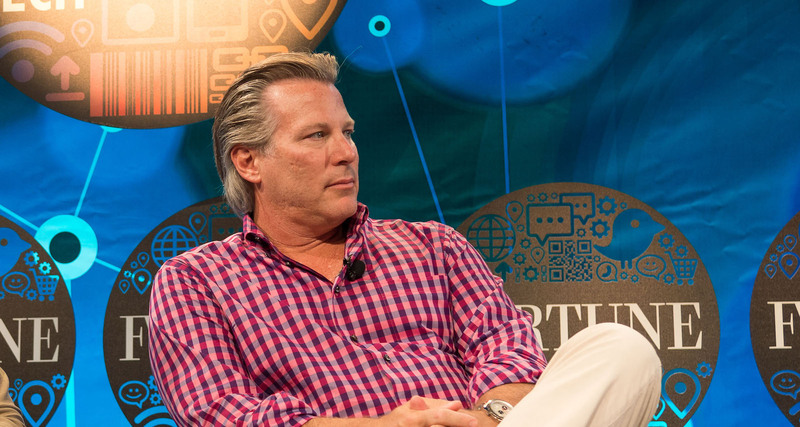 Photo of Levinsohn in 2013 by Fortune Live Media used under a Creative Commons license. POSTED Jan. 19, 2018, 6:31 a.m. Doctor, Ken. "Newsonomics: NPR’s Ross Levinsohn scoop delivers a double blow to Tronc." Nieman Journalism Lab. Nieman Foundation for Journalism at Harvard, 19 Jan. 2018. Web. 18 Apr. 2019. Doctor, Ken. "Newsonomics: NPR’s Ross Levinsohn scoop delivers a double blow to Tronc." Nieman Journalism Lab. Last modified January 19, 2018. Accessed April 18, 2019. https://www.niemanlab.org/2018/01/newsonomics-nprs-ross-levinsohn-scoop-delivers-a-double-blow-to-tronc/.